LONDON - Phil Chapman, the former T-Mobile marketing director, has been appointed marketing director at Kerry Group, the £5bn Irish food company. In the newly-created position, Chapman will be responsible for its consumer food brands including Cheestrings, Homepride flour, Wall's, Golden Vale and Kerrymaid. 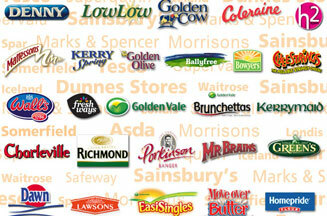 Kerry Foods recently consolidated its £13 million media planning and buying account for the UK and Ireland into Vizeum. Kerry Foods has embarked on a repositioning of the Wall's sausages brand, and more recently for Cheestrings as a nutritional snack for children, supported by a £5m integrated campaign, including several TV executions. Chapman left T-Mobile last year after three years as marketing director, responsible for marketing of the Flext tariff and Web'n'Walk. T-Mobile has yet to appoint a replacement marketing director.